Tim Rayne is a Kennett Square Medical Malpractice Attorney who helps Medical Malpractice victims and their families throughout Pennsylvania. Each year thousands of Pennsylvania patients are injured or killed by Medical Malpractice. Pennsylvania Medical Malpractice claims can involve: Birth Injuries; Cerebral Palsy; Cancer Misdiagnosis; Delayed Cancer Diagnosis; Emergency Room Malpractice; OBGYN Malpractice; Surgical Errors; ICU Malpractice: Anesthesia Errors; Prescription Errors; Medication Overdose; Testicular Torsion; Nursing Home Neglect or Abuse: Nursing Home Falls; Bedsores; Nursing Home Physical or Sexual Abuse or other instances of Medical Malpractice. The consequences of medical errors are often severe – serious injury or death. If you think that you may have been the victim of Chester County Medical Malpractice, you may be entitled to money compensation for your injuries and losses (medical bills, lost wages, pain and suffering). You may not need to hire an attorney, but you should get advice from an Experienced Pennsylvania Medical Malpractice Attorney. Tim Rayne focuses his entire law practice in Personal Injury Law and has been helping people who have been injured as a result of Medical Malpractice receive fair treatment and compensation from insurance companies for over 20 years. Chester County Medical Malpractice Attorney Tim Rayne offers free consultations for Pennsylvania Medical Malpractice victims at his offices in Kennett Square or West Chester, Pennsylvania or will travel to your home or any other convenient location. If Tim accepts your case, he works on a Contingent Fee basis, meaning that there are no attorney fees unless he recovers compensation for you. 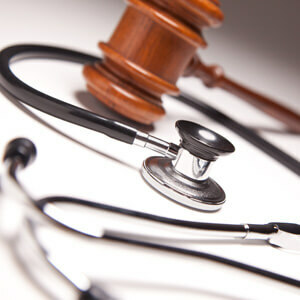 We represent Pennsylvania Medical Malpractice victims in Chester County, Delaware County, Montgomery County, Bucks County, Berks County, Lancaster County, and Philadelphia and regularly assist people in West Chester, Kennett Square, Southern Chester County, Unionville, Avondale, Toughkenamon, West Grove, Jennersville, Landenberg and Oxford.